Kids love a party. But in today’s busy world not everyone has the time to trawl through lots of websites looking for stationery, tableware and party products. Our aim is to provide everything you need for your child’s big day in one place. We've designed and produced a range of quality party stationery featuring our own delightful illustrations and designs. 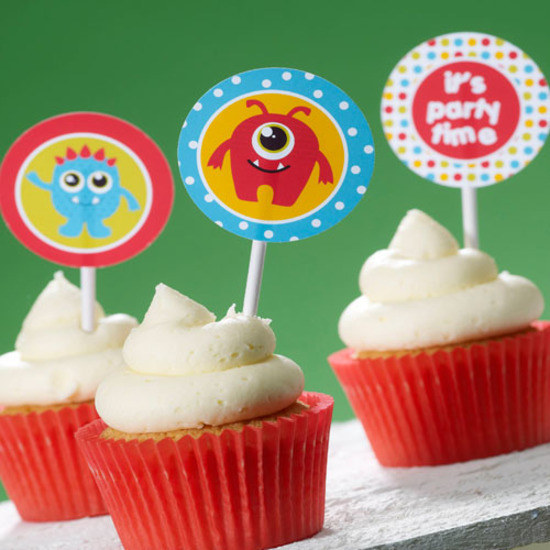 We've teamed it with tableware and accessories including baking cups and cupcake toppers, not to mention balloons and party bags, to create the complete party package. In short, we provide all you need to get your party table fit for a Princess (or Monster, Fairy, Pirate or Dinosaur). Not only that... to add an extra dimension to the celebrations, as well as oodles of fun, Feather Grey offers a range of complementary products to keep even the most demanding of party goers occupied and entertained. They include cupcake and cookie kits complete with sprinkles and toppings, Baking Party kits, marshmallow pops kits and lots more for boys as well as girls.